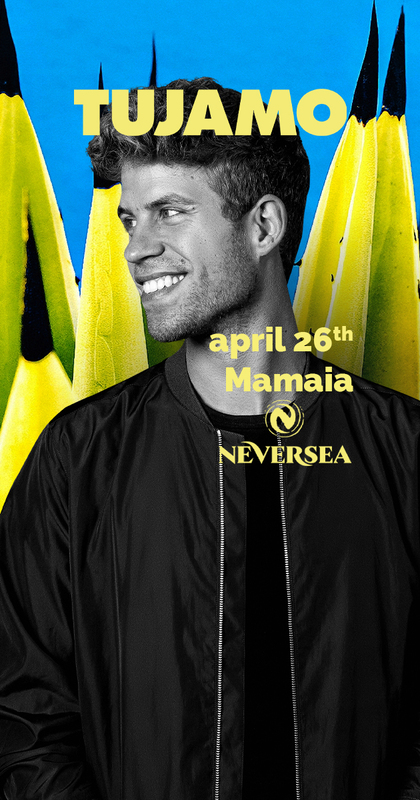 Are you ready for the most unexpected party on the seashore?Friday, 26th of April, for the first time in Mamaia, Tujamo will perform live in Fratelli Beach & Club! German-born producer Tujamo first discovered his passion for music as a teen and honed his craft until his unique take on dance music could be considered a genre of its own. Inspiring hundreds of producers across the globe to try and imitate his unique sound, Tujamo’s energetic and pioneering dance music has seen him collaborate with Danny Avila, Dimitri Vegas & Like Mike, Jacob Plant, Laidback Luke, Martin Solveig, Pep & Rash, Showtek, Taio Cruz and many more. Tujamo kick-started his sensational career back in his native homeland, but it wasn’t long before his exceptional style was bringing him fans from all around the world, leading him to play out his productions in far-flung countries. From the biggest festivals on earth including TomorrowWorld in the US, Tomorrowland in Belgium, Creamfields in the UK, Summatronic in India and Untold in Romania through to legendary venues such as New York City’s Webster Hall and Pacha, the prestigious Wynn Resort in Las Vegas and Top 100 Clubs #1, Green Valley in Brazil, Tujamo has played them all. Gathering more than 450 million streams on Spotify, Tujamo has quickly become one of the most popular artists in electronic dance music and a trend-setter for many.